There’s only one way to really enjoy flying: Buy your own plane. The rest of us are stuck with missed and canceled flights, sardine-can cabins, and humiliating security procedures, all of which are enough to send our stress levels soaring. Add to that the physical tolls extracted by cabin air literally drier than the air in the Sahara, changing cabin pressure, and hours of sitting in a chair seemingly no wider than your hips, with someone’s seat back in your lap, and you’ll understand why the following tips are so critical when you take to the skies. 1. 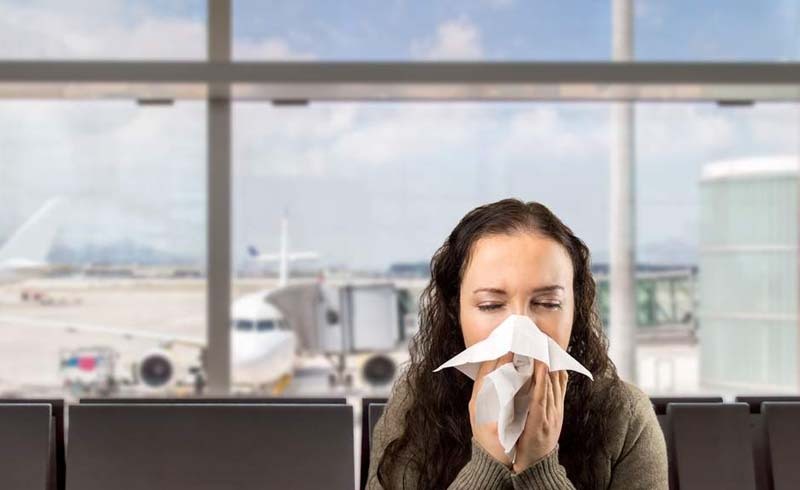 Three days before your trip, start boosting your immune system with doses of echinacea and vitamin C. There are more germs circulating in the air on planes than you can shake a stick at. Don’t ruin your trip by getting sick. 2. Take an aspirin the day before a long flight, the day of the flight, and for three days afterward. 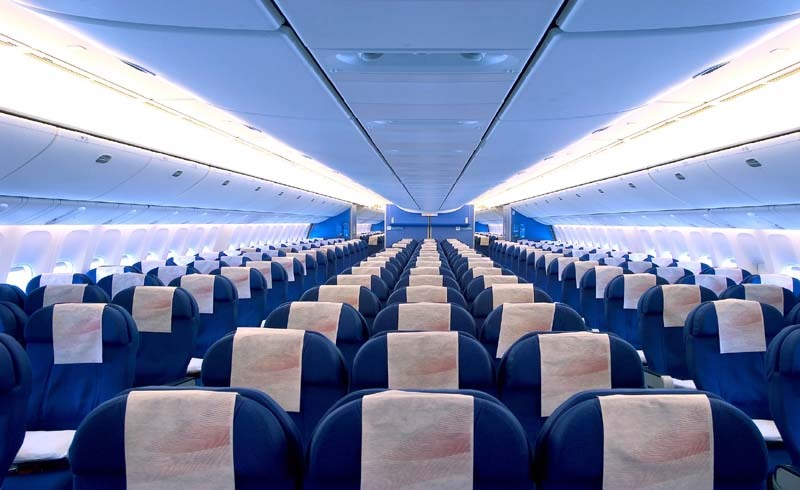 Have you heard of deep-vein thrombosis, also known as economy-class syndrome? When you sit without moving around for long hours, the blood pools in the legs. That could lead to a blood clot, and if that blood clot travels to your lungs or another important organ, it could be deadly. Aspirin thins the blood, making clots less likely. 3. Pack three chamomile tea bags in your carry-on bag. When the airline attendant comes around with drinks, ask for a cup of hot water and dunk the tea bag. The herbal tea will soothe your travel jitters and relax you enough so you can get some sleep on the plane, arriving refreshed. 4. Use a backpack for your carry-on so you can take the stairs in airports instead of the elevator or escalator. You’ll probably have the stairs all to yourself, and it’s a great way to stretch your legs and burn a few calories before you get onboard. As you wait for your flight, power walk through your terminal. “I can rack up a couple of miles just by ambling to and from the gates and circling the baggage carousel,” says Ian Adamson, an exercise physiologist and adventure athlete who spends roughly seven months of the year traveling to races. Standing in the aisle, stretch your calves by taking a large step back with one leg and reaching into the floor with your back heel. Also while standing, stretch your torso and back by twisting gently from side to side. Then, when seated, stretch your arms, shoulders, and upper back by extending one arm overhead, bending it, and placing your palm against your shoulder blade. You can use the other arm to increase the stretch. 6. In your seat, perform these six exercises every half-hour. They will keep the blood flowing and help prevent stiffness. Raise your shoulders and rotate front to back, then back to front. Drop your chin to your chest. Nod yes, then nod no, pointing your chin to one shoulder, then the other. Clasp your fingers together, palms facing each other, then stretch your arms out straight in front of you, palms facing out. With your heels on the floor, pull your toes up as far as possible. Hold for a few seconds, then release. Lift one foot slightly off the floor and make small circular motions in each direction with your foot. Repeat with the other foot. Lift one heel as high as possible while keeping your toes on the floor. Hold for a few seconds, then release. Repeat with the other foot.